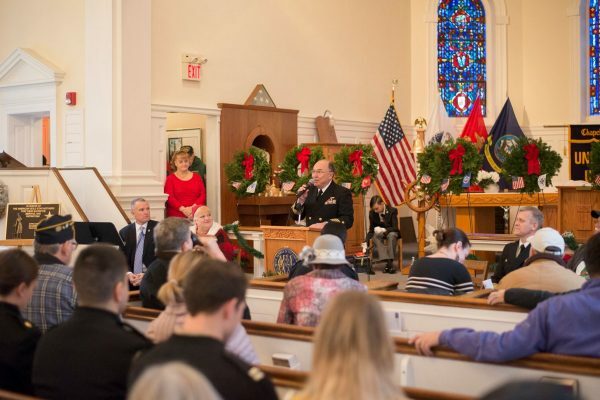 The Navy Yard proudly participated in a ceremony held during the Wreaths Across America convoy stop at the Chapel of Four Chaplains on December 13. 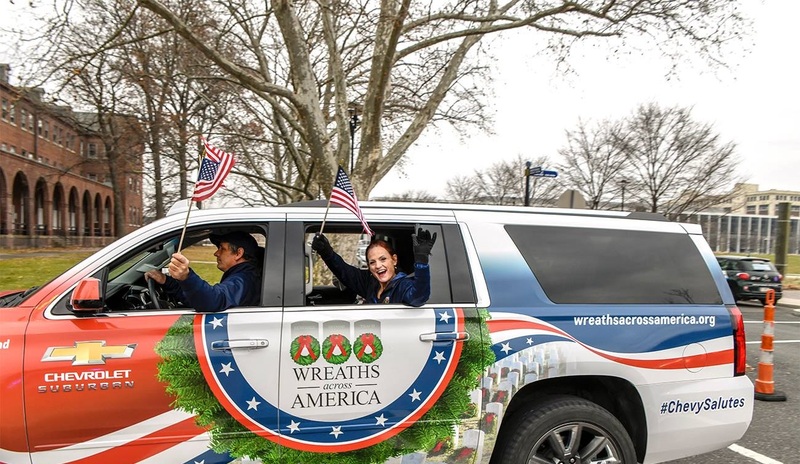 Every year, Wreaths Across America places wreaths on the tombstones of America’s veterans in over 1,400 cemeteries in the country including Arlington National Ceremony. 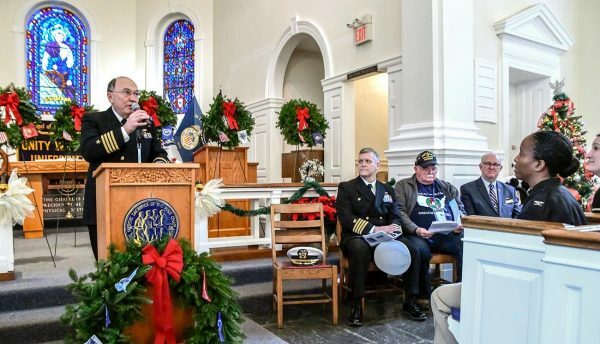 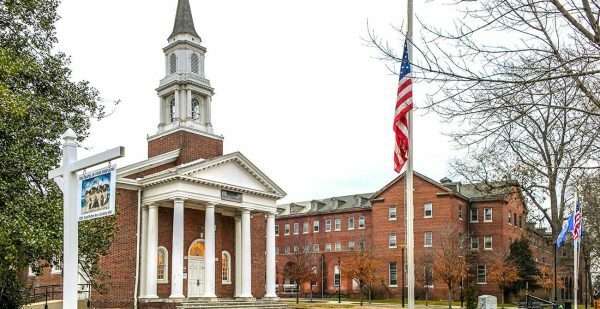 In December, the Chapel of Four Chaplains was a proud stop along the way. 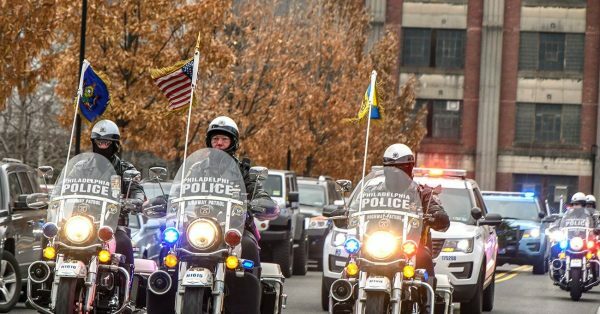 After a brief dedication ceremony inside the Chapel, the convoy continued its journey to Delaware before their last stop at Arlington for the final ceremony. 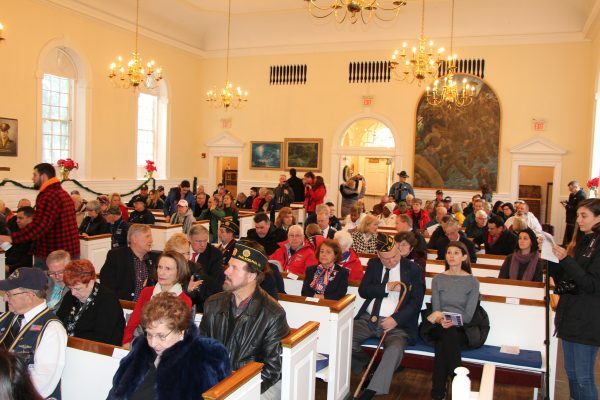 Here are some highlights of the convoy and the ceremony held at the Chapel. 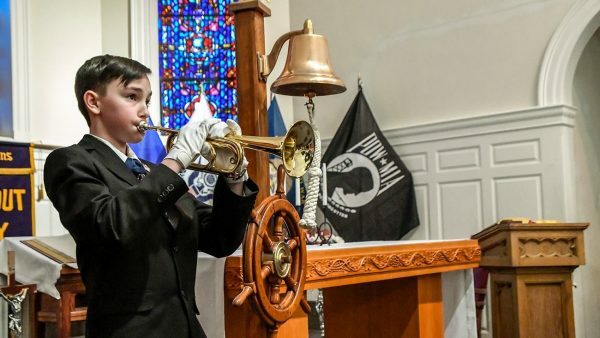 Naval Foundry Turns 100 Years Old 15+ Events & Deals to Enjoy at the Navy Yard this January!